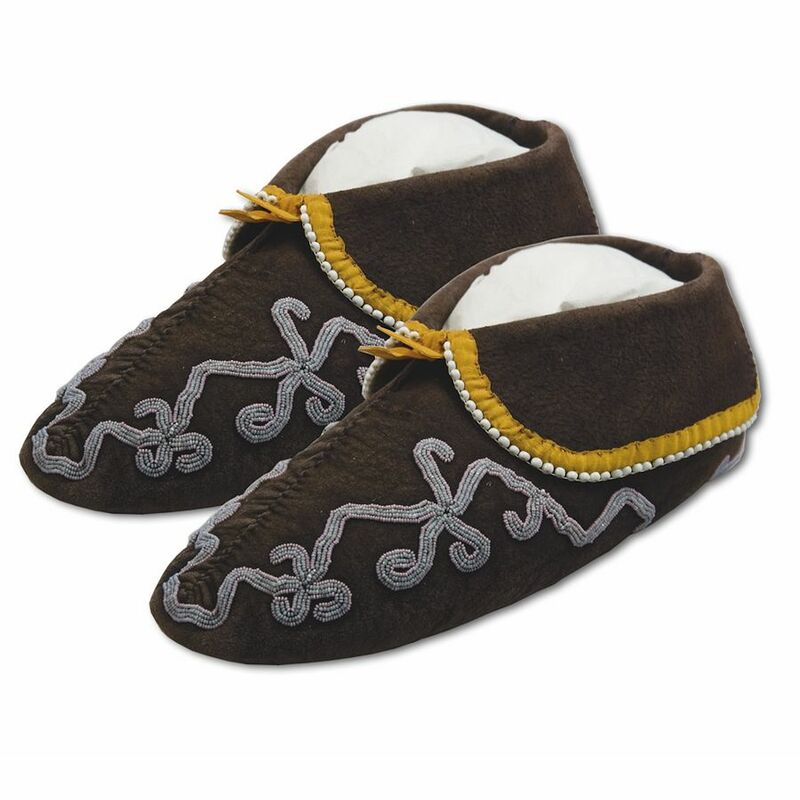 Cherokee Moccasins Kit for men and women. SKU: 2609. 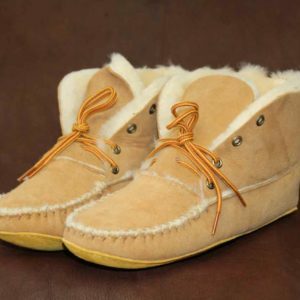 Availability: In stock Shipping Weight: 0.5 kg Category: Moccasins. 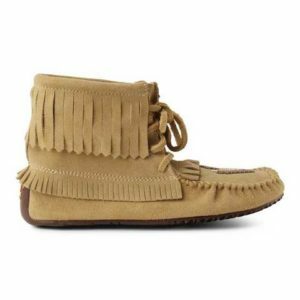 Tag: Moccasins. 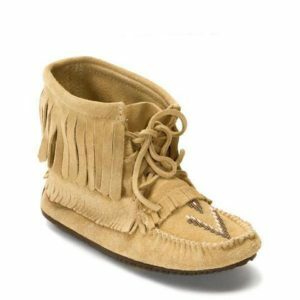 Moccasins of the Cherokee and others of the 5 Civilized Tribes were remarkably similar, changing little from first European contact to the 1900s. 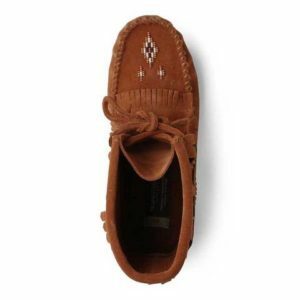 This kit includes buckskin and highly illustrated instructions, loaded with information for making the 1-piece soft sole moccasins of the different tribes. 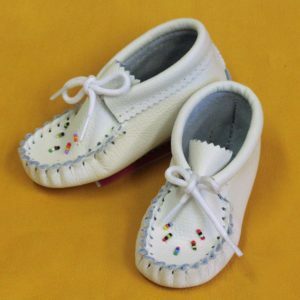 They are quite easy and surprisingly fast to make. 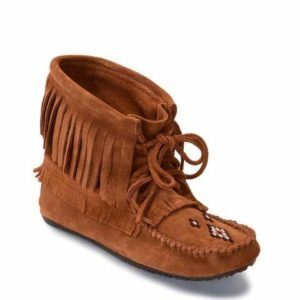 One kit makes one pair for men size 4 through 12, or women sizes 5 through 10. 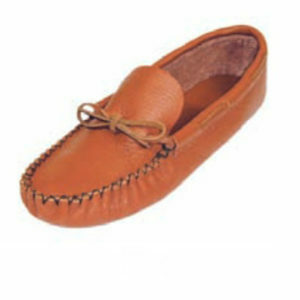 Men's sturdy cowhide leather moccasins have a leather insole, no outer sole. 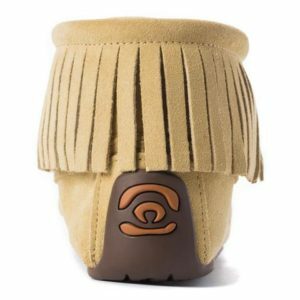 Made in Canada by Bastien Industries. 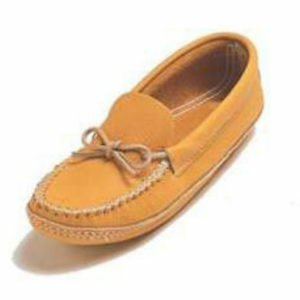 Heavy cowhide tan leather ladies moccasin has a double, padded sole. 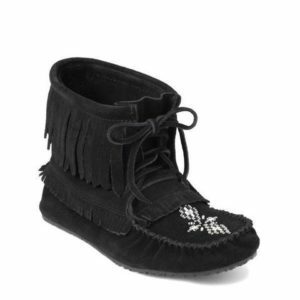 Hand laced and made in Canada using traditional techniques. 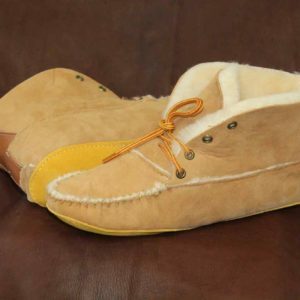 These durable buffalo leather moccasins have a crepe sole for outdoor wear. 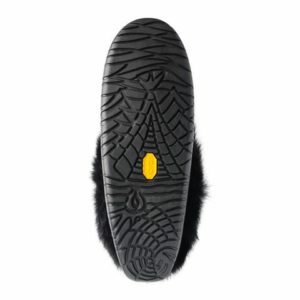 They have a soft padded insole. Made in Canada.